Learn more about how this unique program inspires children to read! 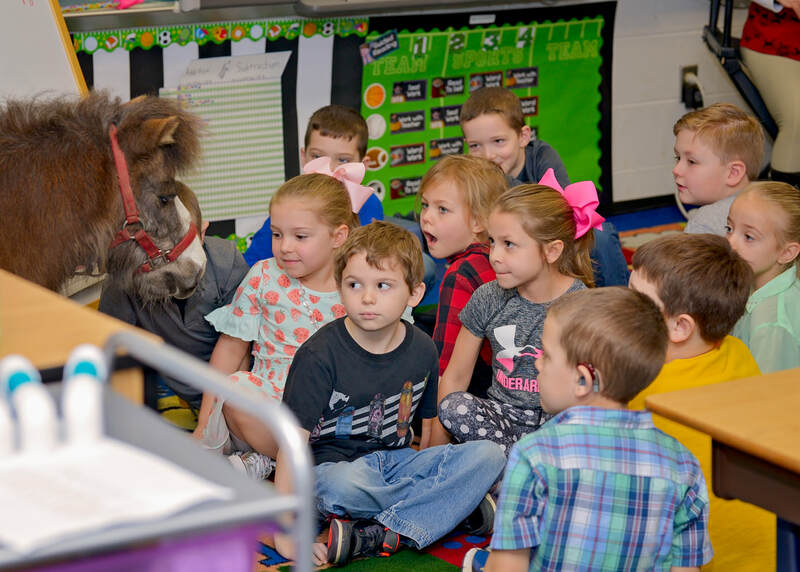 Reading with Rocky and Friends is a elementary based literacy program targeted at first grade students. 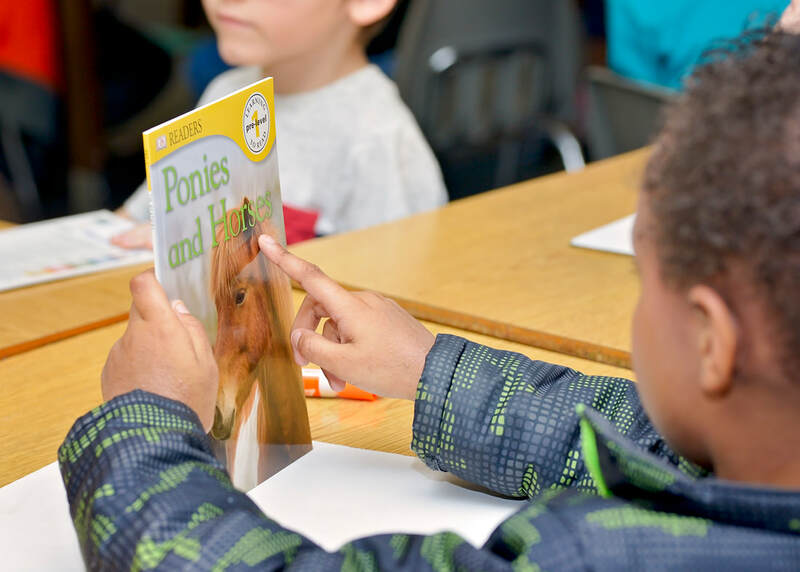 It incorporates elements of equines and agriculture in an 8 week program to produce an exciting experience that encourages students to read. 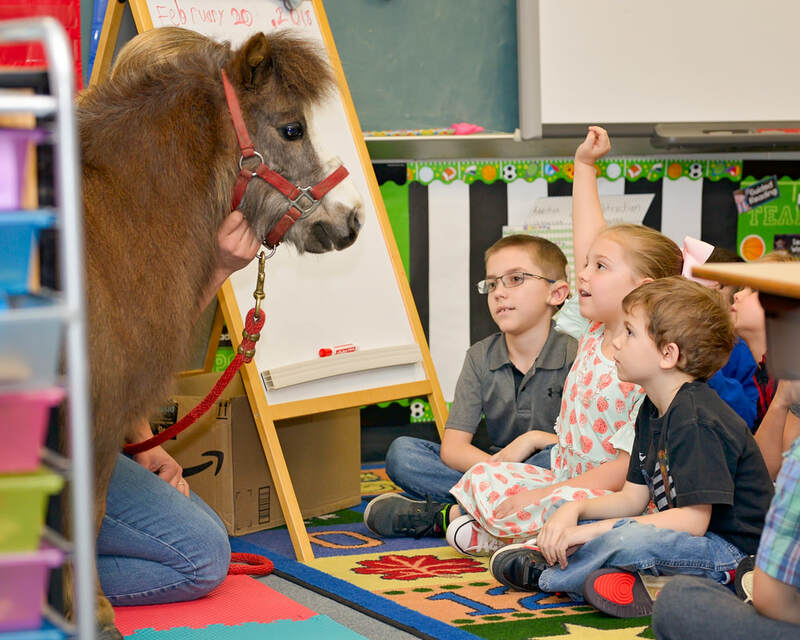 The program begins with a special school visit from our miniature horse "Rocky" or one of his friends, and ends with a fun field trip to the farm where Rocky lives! Rocky has a special gift of two books which the students may take home and keep. Teachers are provided several weeks of planned activities to incorporate into their lessons during the 8 week period. Please contact our EAL Coordinator Jody Pfister to learn more about this program, email horsesheal1@gmail.com for more information.